Selma Abdon Calheira was born in Ibirataia, South of Bahia. It was from the countryside of Bahia that the first forms created by Selma began to take shape. She undertook in-depth research into the possibilities of clay and painting and organised workshops, events and meetings with other artists. After 38 years, Selma manages a studio, providing jobs to over 100 people. Men, women and teenagers from humble origins are patiently prepared and trained as highly qualified ceramists. In 1996 Selma received an award for her work with the economically disadvantaged in one of the poorest areas of Brazil, providing a way to stay and to survive with dignity on their salaries. Through education there will be more qualified people and perhaps the destiny of the region may change. 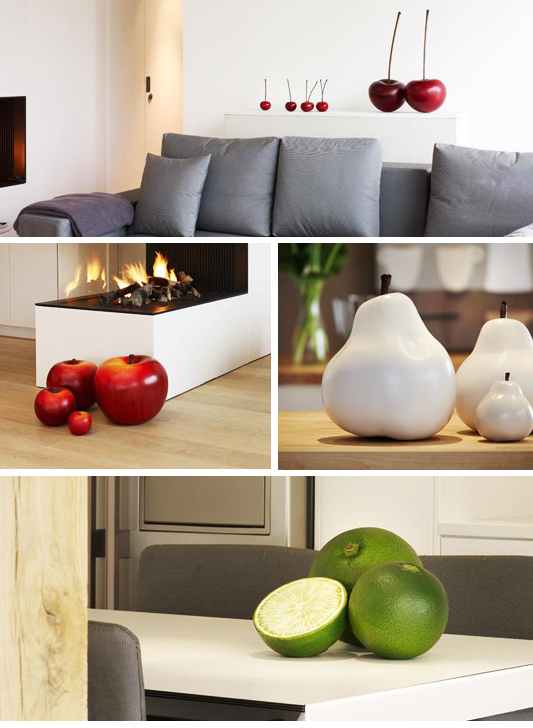 The fruits on display at [mine] are available to buy in a range of sizes and colours with prices from £10 upwards. "If it is true that 'man has been assigned to work and share the Earth' Selma Abdon Calheira has chosen the right track!"